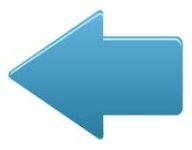 Car Shuttle Req'd: No Parking Directions: Take Highway 340 7 miles north (Kahekili Highway) from Wailuku toward Waihee. Turn left at Maluhia road signed for Camp Maluhia BSA. The parking area is about 9/10 a mile up that windy road. Hazards of Note: Sheer dropoffs from the trail into Waihee Valley. Keep children with you. Stay on the marked trail as volcanic rock can be crumbly near edges. Crowd Factor: Busy. 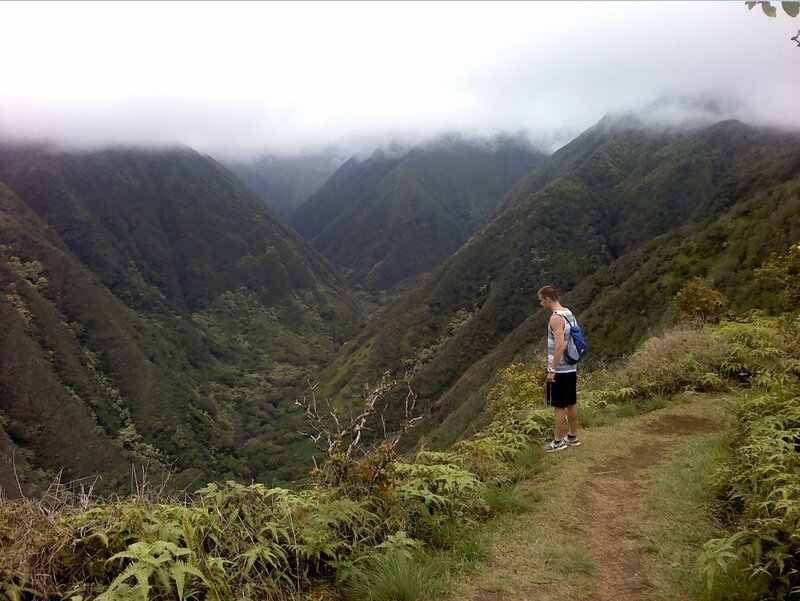 This is a very popular hike and often considered on a clear day to be one of the best on all of Maui. 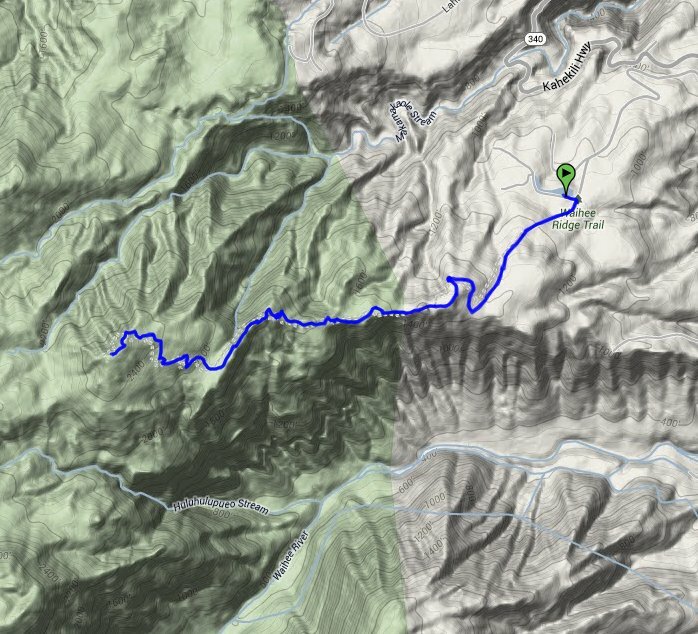 Try to attempt this hike early in the morning, because typically after 10-11am the top is shrouded in clouds for most of the rest of the day. 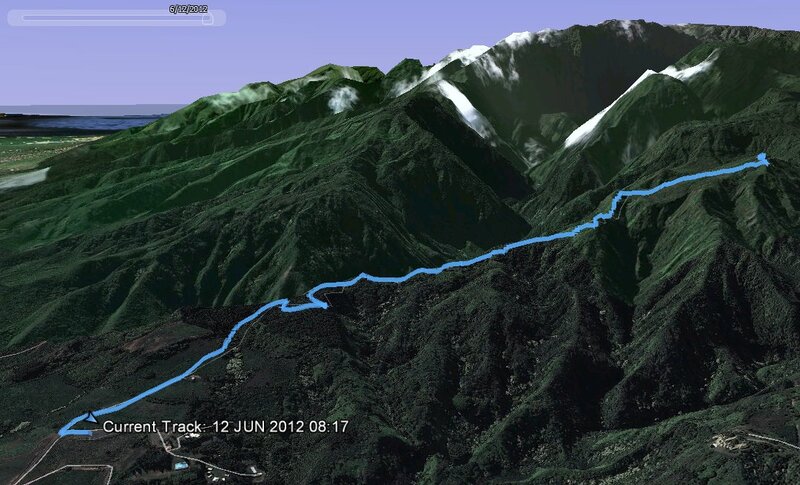 From the parking at the trailhead, you will climb a steep concrete covered road for a good 400-500 yards. 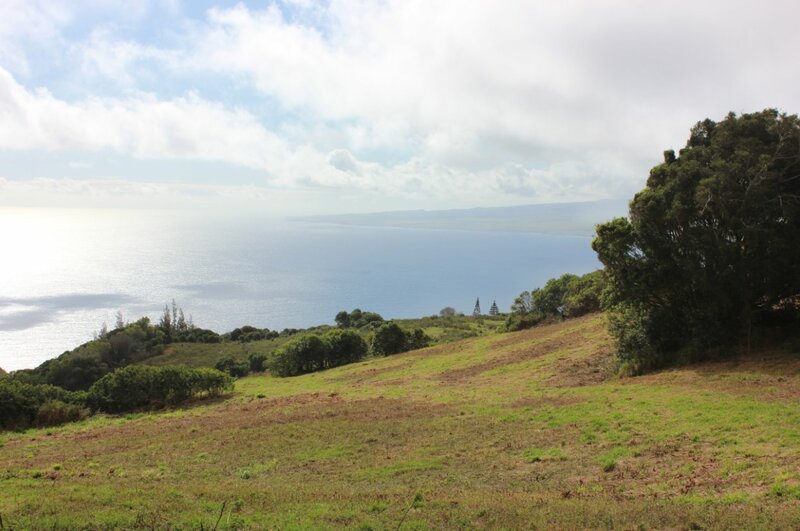 At the top you will have nice panoramas of the ocean to the west. Turn to the left on the trail, and follow it up into the forest past a gate to keep out bikes. 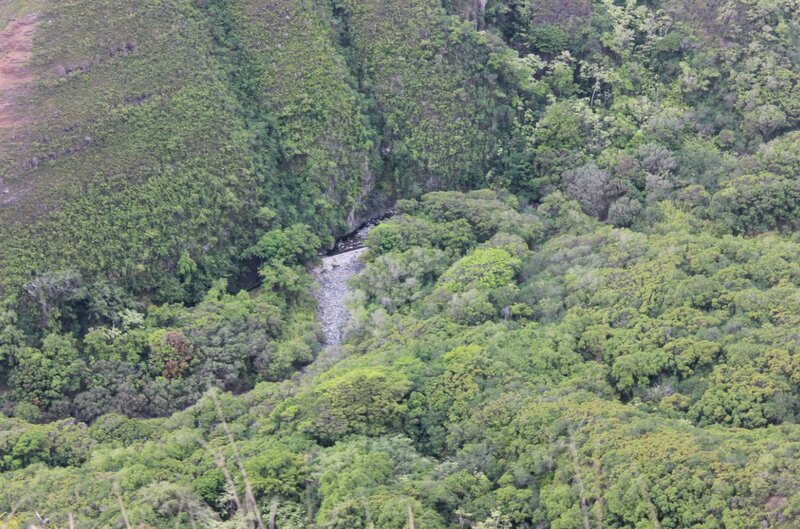 The first mile has a steady climb, and at one point there is a sharp switchback with a bench that has a great view to the northwest of Maka'maka'ole falls, the same falls that can be hiked to from another pullout on the Kahekili Highway called "13 Crossings." 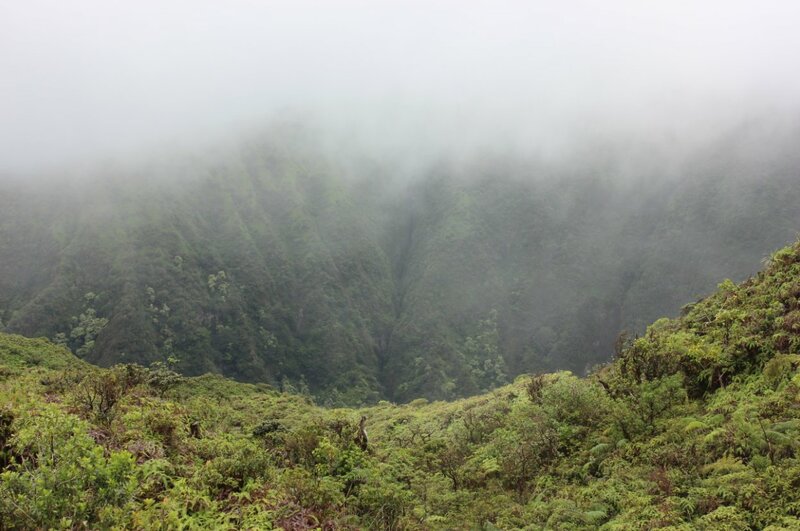 Continue up until you pass through a second gate, and now the Waihee valley will drop sharply off to your left and you will be hiking along the spine of the ridge for awhile. 2/3 of the way up you will pass through a grove of trees, which is a nice spot for a break. After this point the trail heads to the Northwest, and crosses a small ravine before making the final climb to the end of the trail. At about 2 1/2 miles you will reach a picnic table, and a sign behind it indicating that this is the end of the hike. Do not venture past this as the dropoffs are significant and if cloudy you will not be able to see the sheer cliffs which lay beyond. 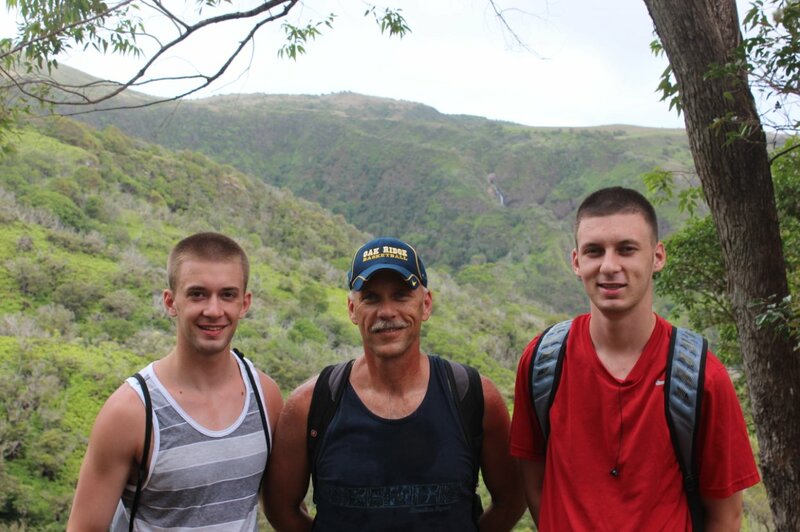 Dustin, myself and Tristan at the start of the hike with Makamaka'ole Falls in the background. 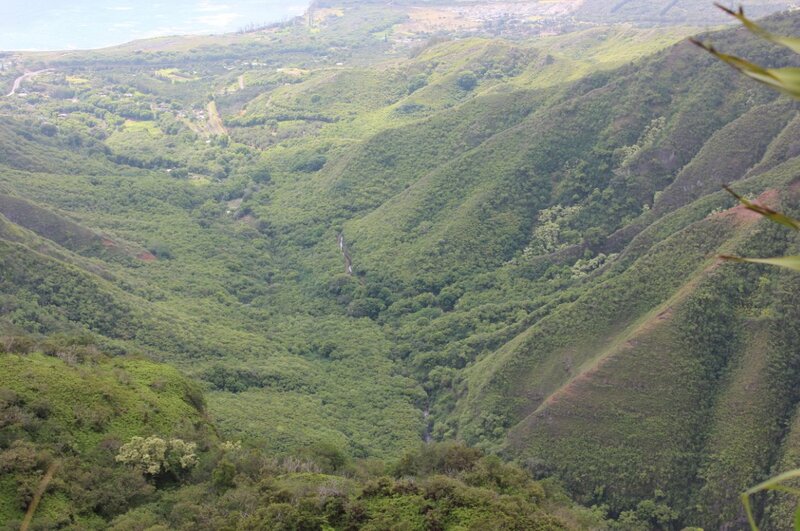 Looking up into Waihee Valley along the way. Overlooking the ocean near the early part of the hike. 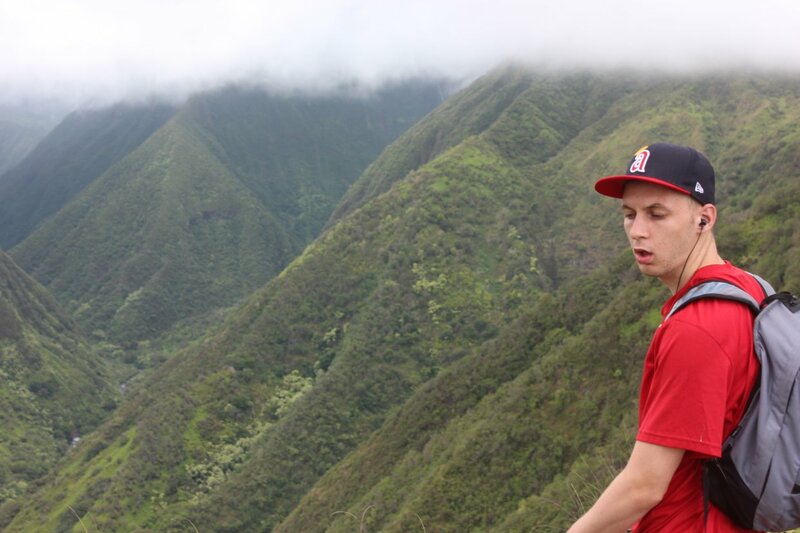 Dustin looking down into the deep Waihee Valley from high above. 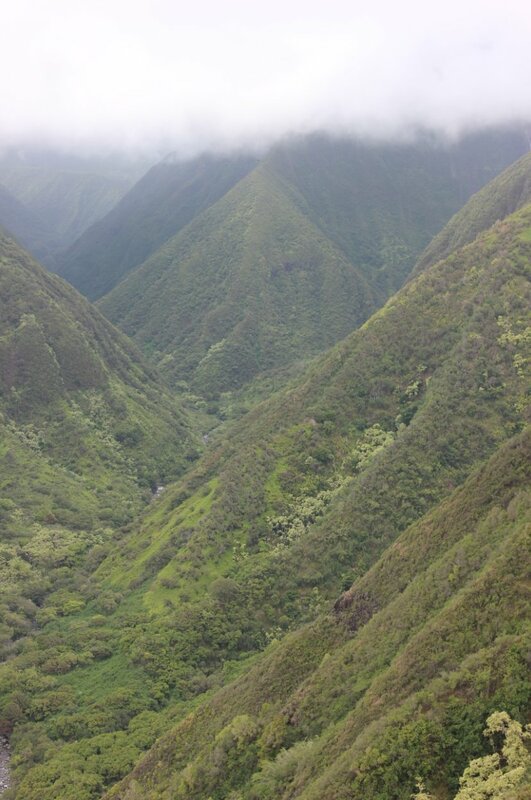 The no-long-accessible swinging bridges far below in Waihee Valley. 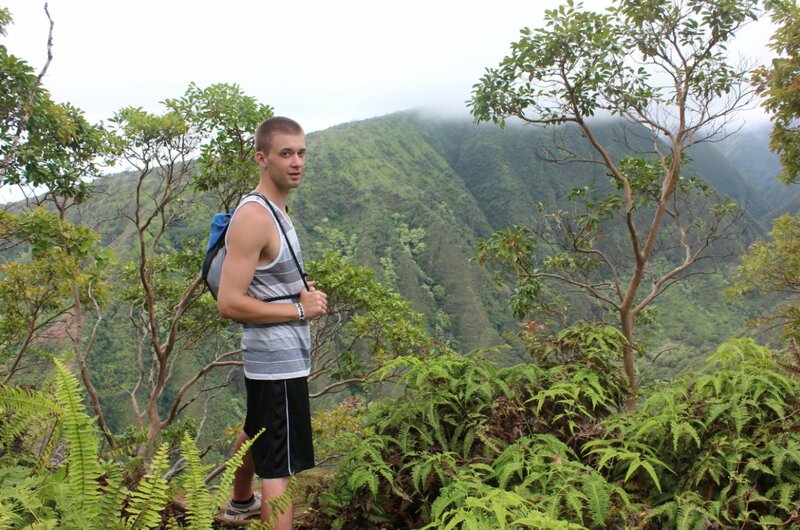 Tristan checking out the sights along the trek. View into the valley from the top of the ridge hike. View into the valley from the trip back down the hill. 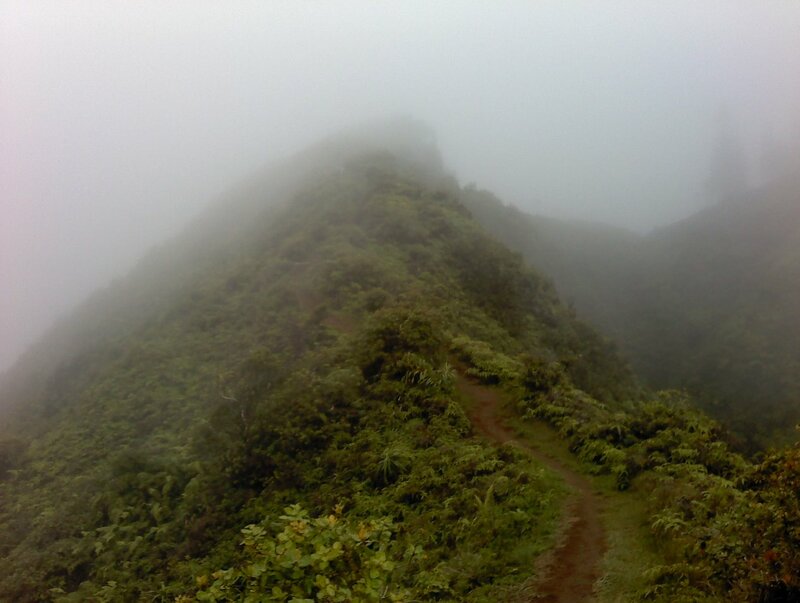 Trail to the top shrouded in the mist.